Consumer stories are the most important way to improve the affordability and quality of health care for our communities. 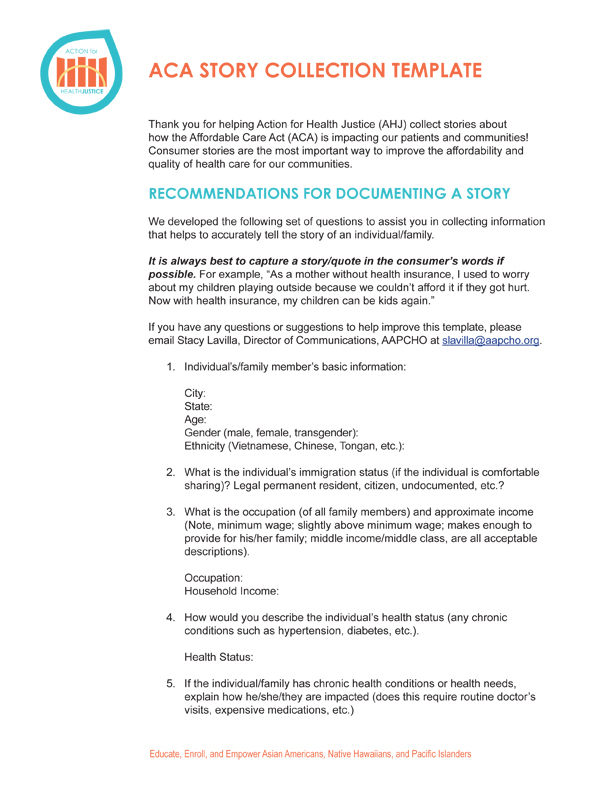 Action for Health Justice developed this story collection guide to help enrollment assisters collect stories about how the Affordable Care Act is impacting our patients and communities. This guide includes a set of questions to assist in collecting information that helps to accurately tell the story of an individual or family.